Easter has arrived and with it comes a variety of activities. While many people see the occasion as an opportunity to take some days off, and go to the beach, others tend to celebrate the holiday’s religious history. For others, it is a time to party, and what better way than with alcohol? Well, there is some bad news for these folks, as this Good Friday will be another dry one, with no liquor available for the entire day. 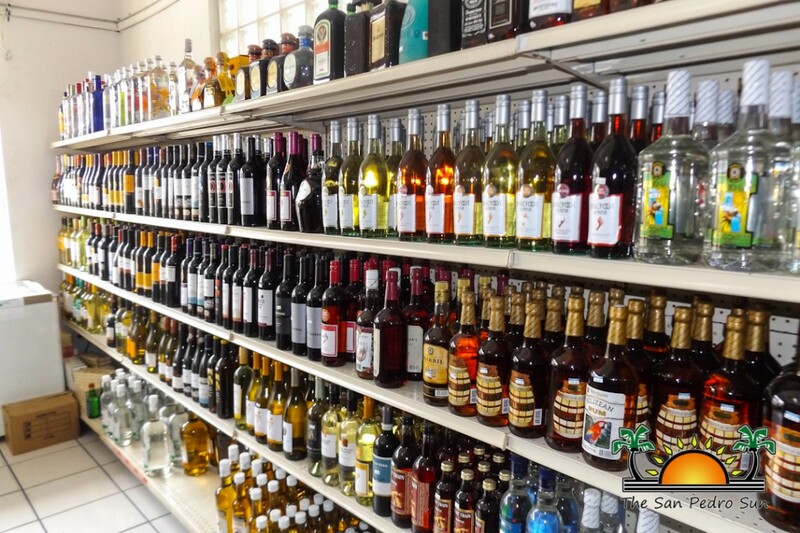 The San Pedro Police Department, along with The San Pedro Town Council (SPTC) and the San Pedro Liquor Licensing Board, will once again be enforcing the ‘dry’ Good Friday regulation. All License Holders with Beer, Malt, Convenience Store, Publican’s Special, and Publican’s General License must either conceal or completely remove all liquor products off their shelves during this day. Additionally, no stores, supermarkets, bars or restaurants are allowed to sell alcoholic beverages from Thursday, March 24th at midnight. The regulation will extend to Friday, March 25th, with a slight difference from previous years. According to the SPTC, restaurants can sell alcoholic beverages to customers on Good Friday after 7PM. However, this does not apply to Night- club license holders, who must close on Holy Thursday at midnight and may re-open on Saturday, March 26th at 12:15AM. On the other hand, hotels will be allowed to sell alcoholic beverages to bona fide guests only. Furthermore, residents are not allowed to drink in any public area. Anyone engaging in the consumption of alcoholic beverages may do so in the confinement of their home. In order to enforce the regulation, all establishments will be monitored constantly throughout the day and night by police officers and members of the San Pedro Liquor Licensing Board. At the same time to ensure the peace and order on the island during these festive days, there will be an increase in Tourism Police officers be dispatched to carry out patrols across the island. All liquor shops and bars must be closed; while grocery stores will be allowed to remain open, but no alcoholic beverages can be sold. Any business that does not abide by the law will be closed immediately. Persons caught drinking in public areas or illegally selling alcoholic beverages will be arrested and detained until they appear before the court on Tuesday, March 29th. In addition, Deputy Officer in Charge of the Coastal Executive Unit, Assistant Superintendent Henry Jemmott has indicated that there will be an intensive mobilization from the police department in order to increase safety and order during the Easter weekend. “We are starting on Wednesday, March 23rd with check points throughout the island to check for drunk drivers. Then on Good Friday, there will be officers all over the place, making sure all locations that sell liquor are closed,” said Jemmott. Furthermore, he indicated that on Saturday, there will be police officers in all the main areas of town, especially at the water taxi docks where they will be checking on passengers arriving and leaving the island. At the same time, there will be extra patrols on the northern side of the island to enhance safety for people who visit places such as the Secret Beach. As part of the increase in island officers on the island for the weekend, Jemmott mentioned that there will be more patrols on the beaches, and even a boat patrol on the lagoon and front side of Ambergris Caye. Any restaurant caught selling alcoholic beverages will face serious criminal charges, including the confiscation of all liquor and beer inventory and a summons for charges. SPTC has also indicated that infractions to the regulations will result in the removal of the establishment’s liquor license. 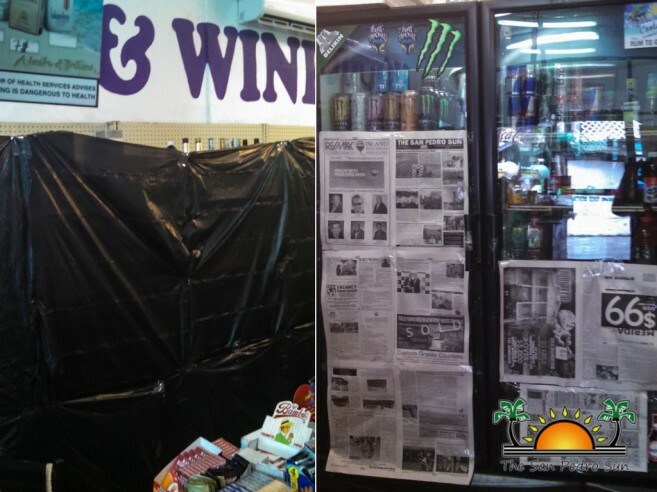 (3) Any person who during the times at which any licensed premises are required by this section to be closed- (a) sells or exposes for sale in such premises any liquor; or (b) opens or keeps open such premises for the sale of liquor; or (c) allows any liquor, although purchased before the hours of closing, to be consumed on such premises, is guilty of an offence and is liable for a first offence to a fine not exceeding fifty dollars, and for any subsequent offence to a fine not exceeding one hundred. The San Pedro Police and San Pedro Town Council would like to wish everyone on the island a safe Easter Holidays. For any emergencies contact: San Pedro Police Department at 206-2022, San Pedro Fire Department at 206-2372, Dr. Otto Rodriguez San Pedro Polyclinic at 226-2536 and medical emergencies at 660-2871.